I have literally been to so many weddings this summer I am having trouble remember that I even went an where I went. Time in beginning to merge into one massive wedding. 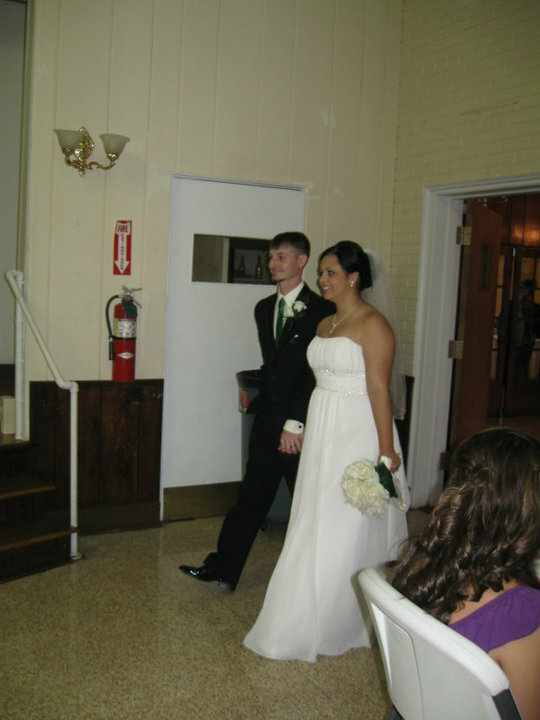 This past weekend my cousin Chris got married to his now wife Brandi. That now makes two Brandi's in the family, which now makes every conversation have the statement "Which one?" added to it. That is also wedding number 7 of the summer. One left to go. Does this exempt me from the next 5 years worth of weddings? The wedding was fun. The baby that was sick of riding in a car was not fun. It is now going to be another 5-30 years until we have a kid after spending the night with Joshua. It seems like we did something else, I'll have to look on my camera and see.